This Champaign park spans 3.5 acres. It was donated by Thomas G. Wood and James R. & Lou Emma Scott between 1891 and 1901. 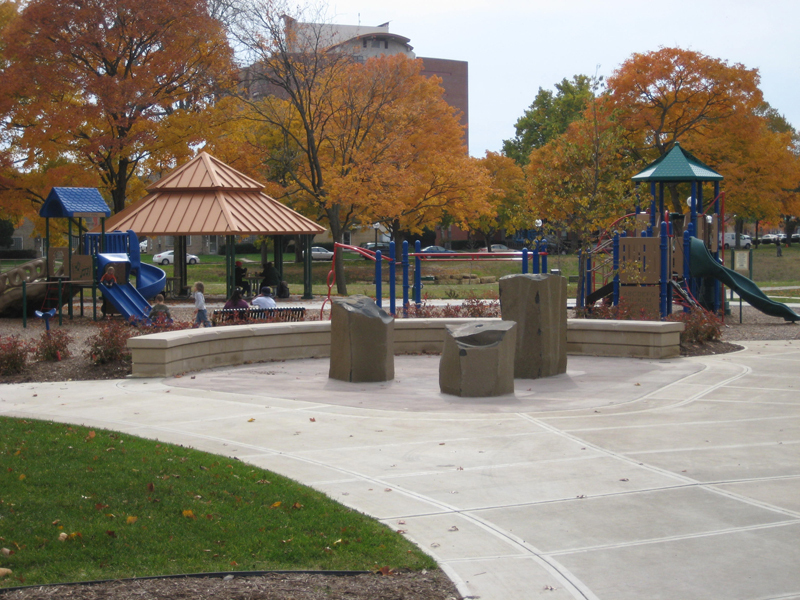 Scott park features a playground, an unlighted basketball court, a walking path, and a covered picnic area with outdoor grills and drinking fountains. Boneyard Creek Second Street Detention Project. 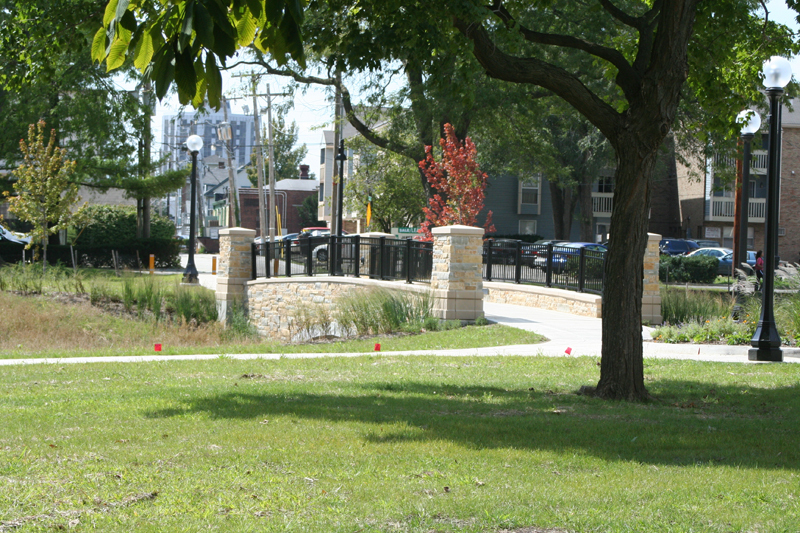 A stone bridge, built for the Boneyard Creek project, traverses the creek and connects walking paths on both sides of the park. “Scott Park,” ExploreCU, accessed April 21, 2019, https://explorecu.org/items/show/116.